Nasa's experiment last month to find water on the Moon was a major success, US scientists have announced. 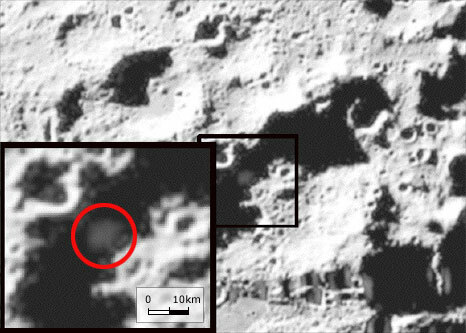 The space agency smashed a rocket and a probe into a large crater at the lunar south pole, hoping to kick up ice. Scientists who have studied the data now say instruments trained on the impact plume saw copious quantities of water-ice and water vapour. One researcher described this as the equivalent of "a dozen two-gallon buckets" of water. "We didn't just find a little bit; we found a significant amount," said Anthony Colaprete, chief scientist for the Lunar Crater Observation and Sensing Satellite (LCROSS) mission. October's experiment involved driving a 2,200kg Centaur rocket stage into the 100km-wide Cabeus Crater, a permanently shadowed depression at the Moon's far south. At the time, scientists were hoping for a big plume of debris some 10km high which could be seen by Earth telescopes. The actual debris cloud was much smaller, about 2km high, but sufficiently large to betray the evidence researchers were seeking. The near-infrared spectrometer on the LCROSS probe that followed the rocket into the crater detected water-ice and water vapour. The ultraviolet-visible spectrometer provided additional confirmation by identifying the hydroxyl (OH) molecule, which arises when water is broken apart in sunlight. "We were able to match the spectra from LCROSS data only when we inserted the spectra for water," Dr Colaprete said. "No other reasonable combination of other compounds that we tried matched the observations. The possibility of contamination from the Centaur also was ruled out." The total quantity of H2O spied by the instruments was more than 100kg. 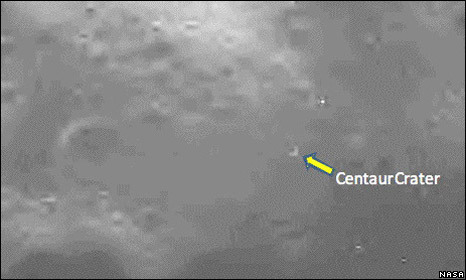 It came out of a 20m-30m wide hole dug up by the impacting Centaur rocket. The LCROSS scientists stressed that the results presented on Friday were preliminary findings only, and further analysis could raise the final assessment of the amount of water in Cabeus. Peter Schultz, from Brown University and a co-investigator on the LCROSS mission, said: "What's really exciting is we've only hit one spot. It's kind of like when you're drilling for oil. Once you find it in one place, there's a greater chance you'll find more nearby." The regular surface of the Moon as seen from Earth is drier than any desert on our planet. But researchers have long speculated that some permanently shadowed places might harbour considerable stores of water, perhaps delivered by impacting comets billions of years ago. If future investigations find the quantities to be particularly large, this water could become a useful resource for any astronauts who might base themselves at the lunar poles. "It can be used for drinking water," said Mike Wargo, Nasa's chief lunar scientist for exploration systems. "You can break it down and have breathable air for crews. But also, if you have significant quantities of this stuff, you have the constituents of one of the most potent rocket fuels - oxygen and hydrogen." In September, data from three spacecraft, including India's Chandrayaan probe, showed that very fine films of H2O coat the particles that make up lunar soil. Scientists behind that finding speculated that this water might migrate to the even cooler poles, much as water vapour on Earth will condense on a cold surface. This cold sink effect could be supplementing any water delivered by comets, they said. If cometary material did reside in places like Cabeus Crater it would be fascinating to examine it, commented Greg Delory, from the University of California, Berkeley. "The surfaces in these permanently shadowed areas, such as the one LCROSS impacted, are very cold," he told reporters. "That means that they tend to trap and keep things that encounter them - compounds, atoms and so forth. And so they act as record keepers over periods as long as several billion years. They have a story to tell about the history of the Moon and the Solar System." 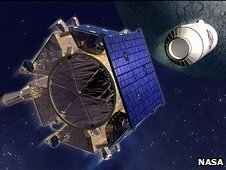 LCROSS was launched by Nasa on 18 June as part of a double mission which included the Lunar Reconnaissance Orbiter (LRO). 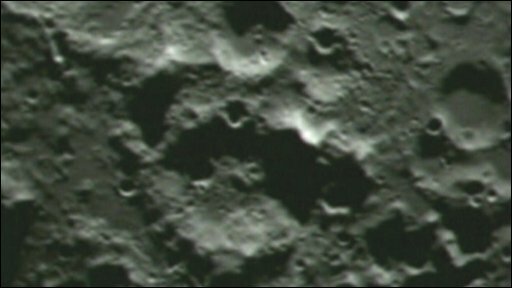 The latter, which continues to circle the Moon, measured a temperature of minus 230 Celsius at the base of Cabeus Crater.